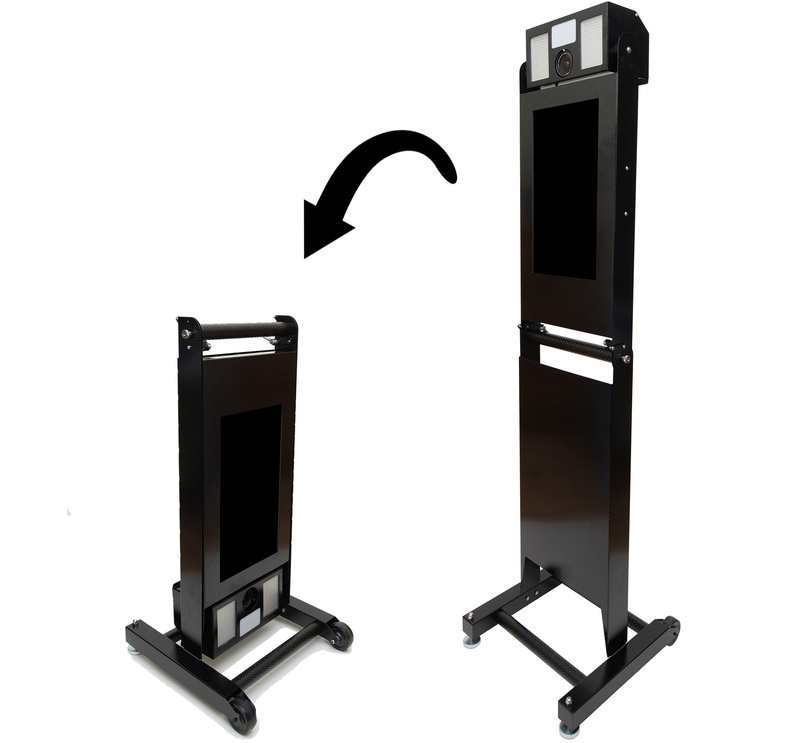 Looking to add something new and exciting to your photo booth rental business inventory? You can transform your current photo booth setup into a modern and unique look that will set you apart from your competition. 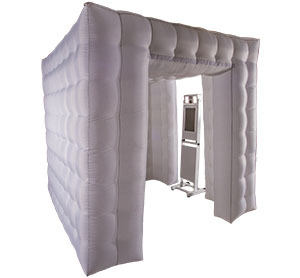 An inflatable photo booth shell by Airbooth has a fast setup and is easy to transport. The inflatable cube is designed to easily fit over almost any photo booth kiosk. No need to replace your current system – for a fraction of a new unit’s price, your shell instantly provides a modern makeover. With customizable LED colors, easy setup, and a look no one else has, your photo booth will be the talk of the party. The inflatable cube will attract attention towards your rental business through marketing and during events. Trust in Airbooth for dependable customer service, a full year warranty on electronics, and replacement parts in stock. Choose AirBooth for your photo booth kiosk solution. We provide a sleek look with a simple setup. This durable metal kiosk folds right in half for easy storage and handling. The kiosk features wheels for easy transportation, and a tilting camera box that will fit almost any DSLR camera. The kiosk is only one piece to allow for a streamlined setup process. The Kiosk comes standard with a Dell all-in-one computer equipped with a solid state drive, Canon T6 Camera, and two Promaster LED Lights. Turn this product into the total turnkey photo booth package by adding an inflatable shell, Darkroom Software and a printer. Your clients will marvel at this new design and it will set you aside from your local competition. The Airbooth Kiosk is efficient because all of the electronics are built in. All you have to do is roll it in, stand it up and turn on the electronics. Attendants will appreciate working with this convenient modern design. Airbooth, LLC is a photo booth builder and supply company. Airbooth offers a Turnkey Photo Booth packages to make getting into the rental business or expanding an existing business easier. Airbooth offers customer service to rental companies of all experience levels. Airbooth also offers an inflatable shell that can be used with your existing Kiosk. The Airbooth kiosk is a one of a kind modern design that was created with the attendant in mind. 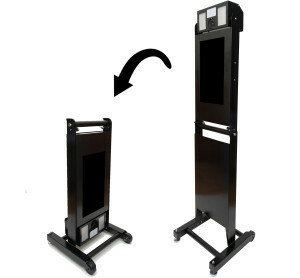 Due to the kiosks portable design, setting up for events is fast and easy. Experienced photo booth rental company attendants and owners founded Airbooth. We know how serious it is to be trusted to run a photo booth for a wedding or special event and want to make sure you have the best equipment possible to impress your clients and be preferred over your completion.